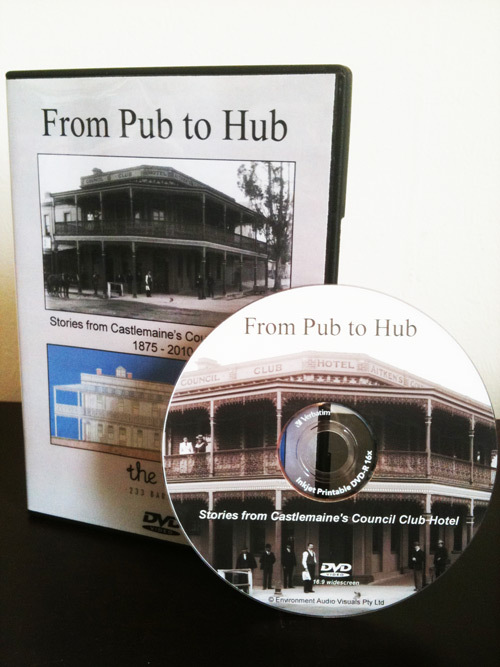 Stories from Castlemaine’s Council Club Hotel 1875 – 2010. Presented by Jan ‘Yarn’ Wositzky, including the Hub’s official opening by former Minister for Science Barry Jones AO. With the aid of the descendents of former licensees, some former patrons and several innocent bystanders, we explore the history of the hotel, the tragedies and good times, the depressed period which followed de-licensing and the major renovations completed in 2010. Welcome to the launch of our new website. If you are involved in the Hub, and would like to post news items here, please contact us for a login/password.